Fine Life Limassol offers corporate services for registering and managing offshore companies in any location in the world. 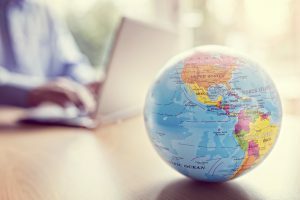 The term “offshore” is used to describe international banks, corporations, investments and deposits registered outside of one’s national boundaries. A company may legitimately move offshore in order to take advantage of more favorable and looser tax regulations, and can result in significant improvement of capital flow for the business. Why might I be interested in registering an offshore company? If you are a startup company running on a tight budget and looking to benefit from reduced tax obligations and lower registration and operating costs. If you are looking to expand your business into new markets and grow globally: moving offshore would preserve confidentiality while simultaneously protect the company’s assets with minimal maintenance costs. Offshore companies are also commonly used as joint ventures, stock market listing vehicles, asset holding structures, and trading vehicles. Why choose us as your offshore service provider? With our team of international legal experts, we could help you register your company and will be there throughout the incorporation process to advise you on administration and tax planning. We offer services for the registered agent for the offshore company, virtual office, nominee directors and nominee shareholders for offshore companies, secretarial services, and bank account introduction. In addition to our ability to incorporate a variety of offshore jurisdictions, Fine Life Limassol maintains close relationships with offshore banks in many locations renowned for their reliability, including Greece, Georgia, Russia, Switzerland, Latvia, St. Vincent Island, Estonia, and Singapore. This enables us to offer our clients the best possible strategies for their individual wealth preservation and asset management needs. We can register companies in 36 offshore jurisdictions, and provide advice on all aspects of subsequent management. England U.S. dollar(USD) Upon request. Australia Australian Dollar (AUD) Upon request. Bahamas U.S. dollar(USD) Upon request. Bermuda Bermudian Dollar (BMD) Upon request. (BWI) U.S. dollar(USD) From 1,200 Euro. Bulgaria Euro (EUR) Upon request. Canada Canadian Dollar (CAD) Upon request. China Chinese Yuan (CNY) Upon request. Costa – Rica Costa – Rica Kolon (CRC) Upon request. Cyprus Еuro (EUR) From 1,300 Euro. Denmark Euro (EUR) Upon request. Dominica East Caribbean Dollar (XCD) Upon request. Georgia Lari (LAR) Upon request. Gibraltar British Pound (GBP) Upon request. Greece Euro (EUR) Upon request. Hong Kong Hong Kong Dollar (HKD) Upon request. Hungary Euro (EUR) Upon request. Ireland Euro (EUR) Upon request. Latvia Euro (EUR) Upon request. Liechtenstein Euro (EUR) Upon request. Luxembourg Euro (EUR) Upon request. Malta Euro (EUR) Upon request. Holland Euro (EUR) Upon request. New Zealand New Zealand Dollar (NZD) Upon request. Russia Russian ruble(RUB) Upon request. Singapore Singapore Dollar (SGD) Upon request. Scotland British Pound(GBP) Upon request. Switzerland Swiss frank(CHF) Upon request. United Arab Emirates Dirham (AED) Upon request. USA U.S. dollar(USD) Upon request. Uruguay Pesos (UYU) Upon request.